The third in a series of five sweet rhyming picture books that celebrate early childhood in all of its wonder and curiosity. Each story is crafted to reflect a child's developmental changes as baby grows from exploring toddler into a confident five-year-old child. 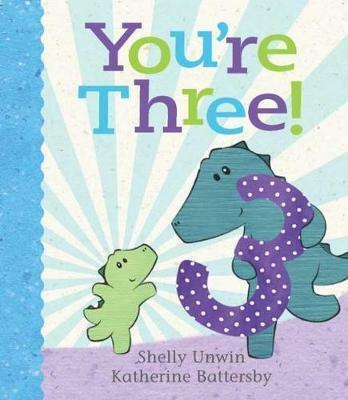 You're three! Three is amazing! You're as big as can be. You're one plus two, and that makes three.The world is an exciting place for a three-year-old. Celebrate the imaginative life of the growing child with this sweet picture book that rejoices in being three!